READERS REQUEST: This past week I shared a couple of articles about our wedding as we celebrated our 1 year anniversary. After publishing those articles I received a handful of messages and e-mails asking where I purchased some of the décor that was seen in our wedding video or photos. I know you see a lot of these on Pinterest, but cannot always find them when it is time to order. Well, here they are! In this post I am sharing 7 of my favorite Etsy Shops for wedding décor. As I mentioned in a previous post (5 Traditions to Start on Your 1 Year Anniversary), donuts are a necessity in my world. That is why we had a donut bar at our wedding. In fact it was our favor. Instead of a take-home trinket we used these bags for them to take a donut for the road or for a late night snack for those who continued the party back at the hotel (y’all know who you are!). These are great if you are thinking about having a snack bar of any kind. 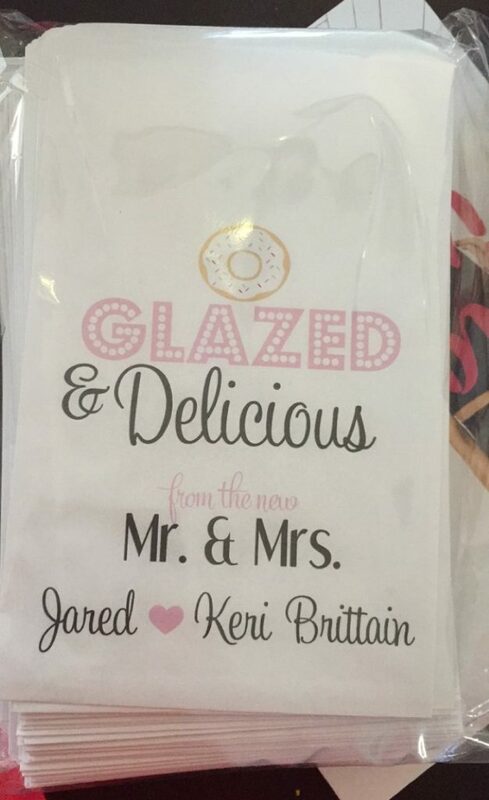 I love how personalized we could make these and would 10/10 recommend a donut bar at your wedding! The shop owners, Holly & John, create the cutest handmade wooden props and signs for weddings and events. 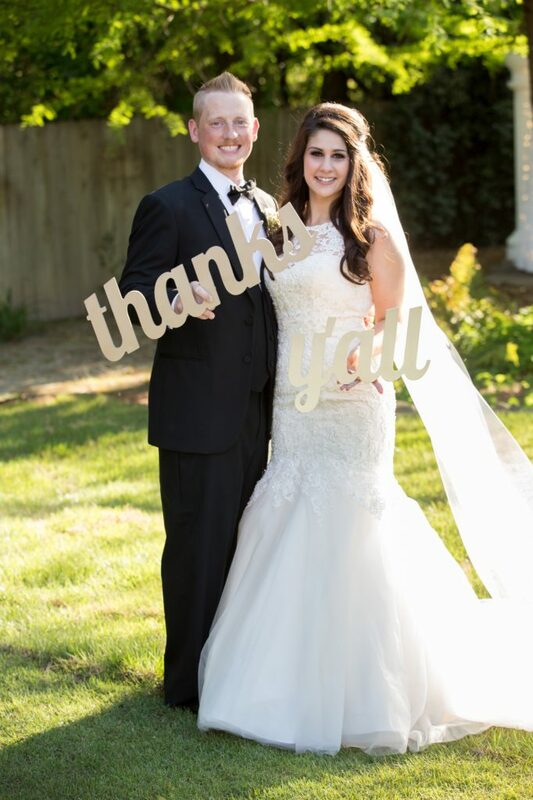 I ordered the “Mr & Mrs” letters for our sweetheart table and the “Thanks Y’all” letters for our Thank you cards. I bought ours unpainted and opted to spray paint them myself, but you do have the option of ordering them already painted in several different colors. I received so many compliments on our “Thank You” Cards, all thanks to ZCreateDesign. 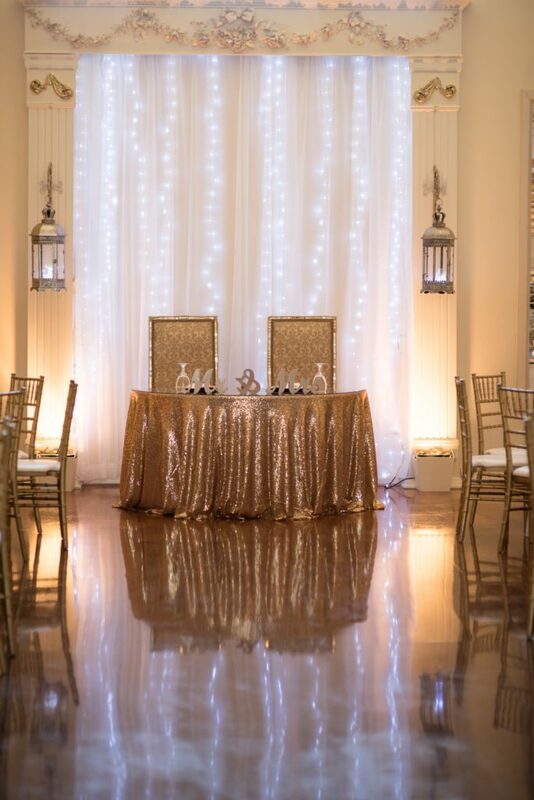 Gold is one of my favorite colors, so it HAD to be incorporated into the wedding a lot. I ordered two gold sequin table clothes for our cake table and our sweetheart table. It was the perfect amount of gold! 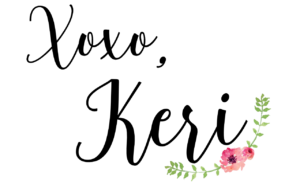 I recommend AllureFloralDesign because she was very reasonable in her rental prices and rental agreement. Other places were outrageous in price whereas she was very accommodating and great to work with. If gold is one of your accent colors, AllureFloralDesign is the place to go. From one gold thing to another. 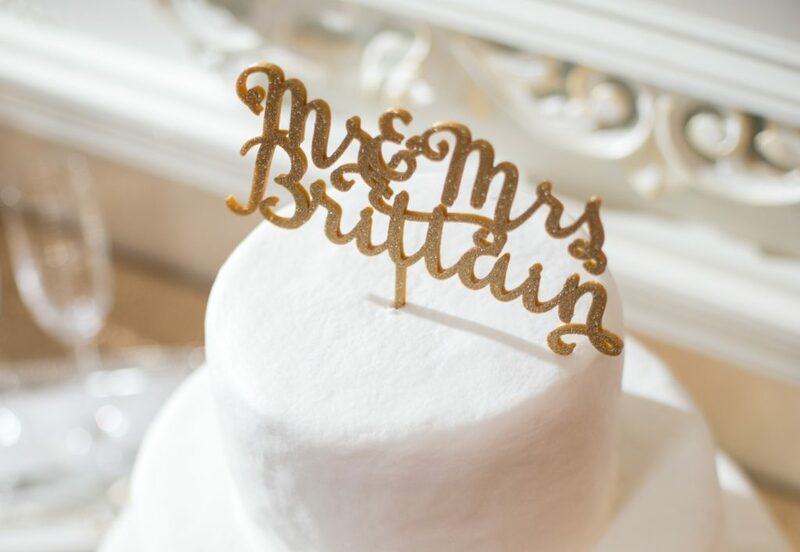 We had our cake topper customized with our last name, which was one of my favorite personal touches to the wedding. They have general pre-made options (seriously considered the “Treat Yo Self” one – b/c Parks and Rec is the best) or you can customize yours with your new last name and more. Definitely check them out! I mean, what else did y’all expect from me?! Comes with Bridal Garter and Toss Garter. To all of my fellow prepsters out there – this one is for you! 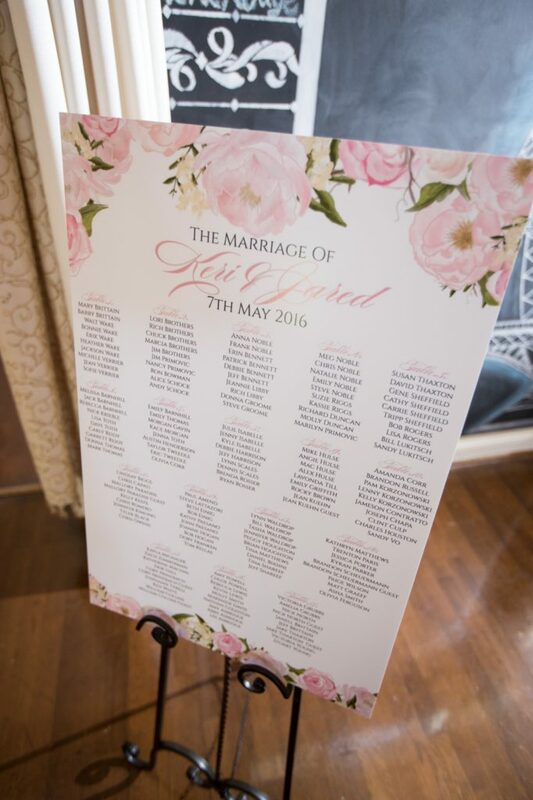 Creating a seating chart for around 200 people was nothing short of a nightmare. Especially when you are waiting until the last minute for RSVP’s, but RBHDesignerConcepts came to the rescue. The designer that I worked with was extremely helpful, willing to work with me and produced beautiful digital designs. She is located halfway across the world in Australia and still managed to send me timely responses and had the order completed and delivered within 48 hours. Moreover, her instructions for getting the necessary information to her was very clear and straightforward. I found that to be a problem when researching other designers. You can choose to order the names by table number or alphabetical order. 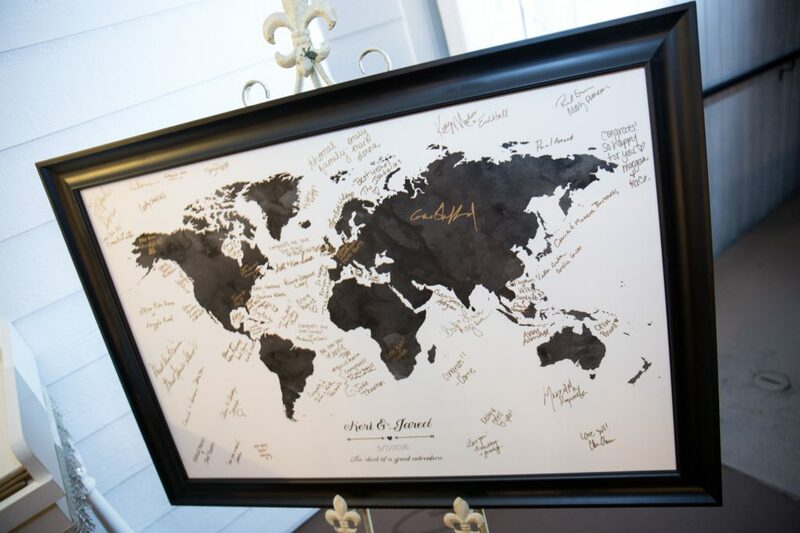 Check out her beautiful designs if you are considering a printed chart for your guests. Truthfully, I ordered from several other Etsy shops for our big day. However, these 7 were the ones that offered good quality products and great customer service and I felt that they deserve a shout-out! 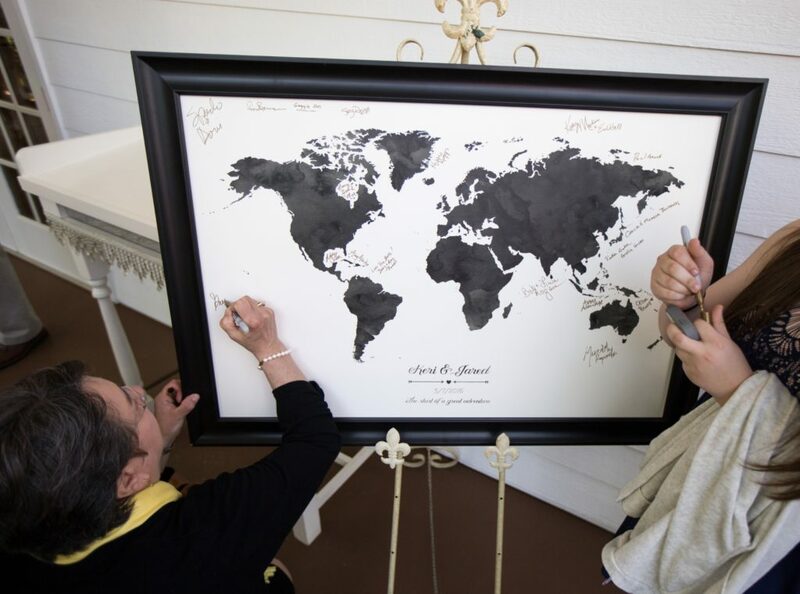 For those planning a wedding and looking for unique personalized décor, I hope this article has been useful. Happy Wedding Planning! 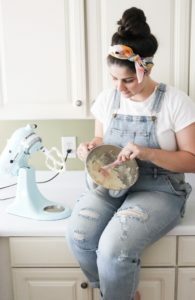 I’m a twenty-something dog mom, wife, recipe developer and lifestyle blogger from the suburbs of Atlanta, GA.
Brunch with the Brittains is my happy space to share all things Living, Recipes, DIY’s and Holiday Inspiration + a little bit of my life in the South alongside my taste-tester, better half and second half of BWTB, my husband Jared!